Situated in Pointe-Claire, right next to Dollard-Des-Ormeaux, Pierrefonds, Roxboro, Dorval, 15 minutes from Laval, 20 minutes to downtown Montreal, 20 minutes to Vaudreuil-Dorion, Ile Perrot, Pincourt, and 40 minutes from the Ontario border. 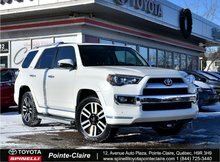 Spinelli Toyota Pointe-Claire has a wide range of pre-owned and certified Toyota vehicles. 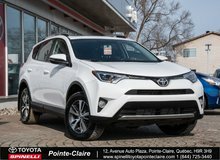 Luxury, sport, compact, sub-compact, hybrid, full sized, vans, 4x4 and AWD, Spinelli Toyota Pointe-Claire has what you are looking for. 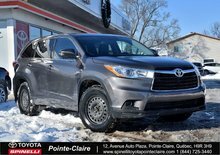 Dealing with a majority of the financial institutions, Spinelli Toyota Pointe-Claire has many financing options including 2nd and 3rd chance financing. Dealing with all the provinces of Canada and not just Quebec, our enthusiastic team of professionals is just an email or phone call away. Open 6 days a week, from 9-9pm, Monday to Friday including Saturdays from 10-4pm. Celebrating 95 years of service and a passion for customer excellence. Eye it – try it – buy it! We stand behind every car we sell. Engine : 3.5L - V6 cyl. You are in love with this vehicle, but you're still hesitating? 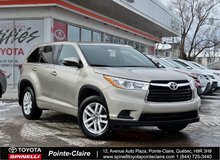 "Very pleased with both the product and the service"
"top notch service with great respect"
"I commend the sales team at Spinelli"
2015 Toyota Highlander LE AWD BAS KM!!!!! 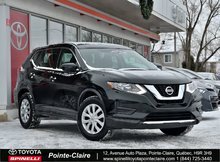 2017 Nissan Rogue S PKG $3500 DE RABAIS!!!! !